If you require new commercial glass doors los angeles, then you certainly are in the right place. Intex Windows & Doors is a company that has been around for over the last decade. We have been successful at receiving various certifications and licenses for sales and installation of doors and windows for both residential and commercial use. You will be proud to have our aluminum storefront doors northridge on your store. They are powerful and grand looking, while being easy to maintain. Each type of storefront door that we sell has various uses. If you want a storefront that will allow passersby to look in and see your wares, you might opt for the glass wall or frameless systems. They both have their own appeal to them. 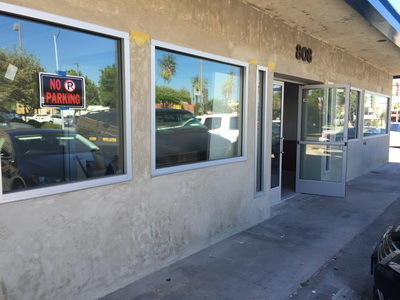 You may want something that is more modest, and that is where our aluminum commercial glass doors los angeles come in. We also have chrome and arched door systems that are crafted to our consistently high standards. Whichever kind you end up choosing, just know that you can have it specially made to be climate controlled to keep in the heat and air conditioning and from having the external conditions affect the building. No matter what it is you need in the way of both commercial and residential windows and doors, we will do our best to assist you in finding just what it is that you envision for the building. Though other companies may have struggled, we have continued to be a strong force in the industry. We offer free in-home estimates, one-day installation, and we are Led certified. Other benefits to our company include that we are considered to be a historic restoration specialist, and we offer some of the lowest prices for the Simi Valley area. Contact Intex for your Milgard essence wood windows needs.